Michael J. Needleman is a Partner in the Firm’s Philadelphia Office and member of the Litigation, Insurance, Employment Practices, Franchise & Distribution and Corporate & Business Services Groups. Mr. Needleman has extensive experience handling insurance defense, insurance coverage, employment litigation, and complex commercial litigation matters, including litigating franchise dispute matters. He practices in the United States District Courts for the Middle and Eastern Districts of Pennsylvania; the District of New Jersey; and, the United States Court of Appeals for the Third Circuit. Mr. Needleman also practices in the Commonwealth of Pennsylvania, the State of New Jersey and the District of Columbia, and has extensive trial experience. Mr. Needleman has delivered lectures to the insurance industry on various topics, and has taught several CLE classes on a variety of litigation-related subjects. Mr. Needleman has also conducted training seminars for employers on maintaining harassment-free workplaces and minimizing claims. Mr. Needleman sits on the Special Advisory Board to the Board of Directors of the Charcot-Marie Tooth Association, is a Co-chair of the New Jersey Defense Association. He is also a member of the Philadelphia Volunteer Lawyers for the Arts, and is occasionally appointed by the District Court for the Eastern District of Pennsylvania to assist in civil rights cases. 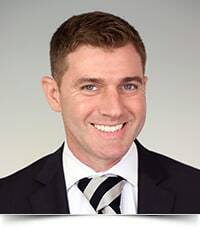 Mr. Needleman is a 1998 graduate of American University, and a 2001 graduate of Widener University School of Law, where he was a member of the Delaware Journal of Corporate Law. Upon graduation, he served a one-year clerkship for the Honorable Theodore Z. Davis, P.J.Ch., Superior Court of New Jersey, Camden County, Law Division, General Equity Part. Mr. Needleman is also a frequent contributor to Reger Rizzo & Darnall's Employment Law Update, a collection of timely, informative and thought-provoking updates on critical topics impacting employers, employees, HR professionals, business owners, and everyone associated with the employment law arena. Please visit our Employment Law Update page for access to all of our educational client alerts. Featured, Michael Needleman Named 2014 Pennsylvania Rising Star.